Ok -- you've waited long enough. Christmas is days away and you haven't picked up a single toy for your kids or family. Here are my family's top picks from Hasbro this holiday season. These toys are all readily available and will be a guaranteed hit with your family. So what are you waiting for? Get out there and get your paws on some of these great toys before time really runs out! 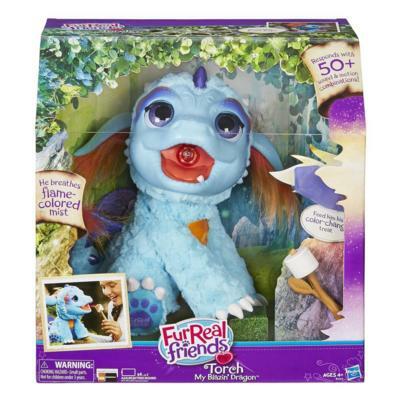 We also have a FurReal Friends Torch, My Blazin' Dragon to give away! Unfortunately, it won't arrive before Christmas, but will still make an awesome gift another time of the year! To win Torch, subscribe to my newsletter (top right) and leave your name in the comments! I'm subscribed and my name is Anne Taylor! I'm already subscribed. Hope your family enjoys a holiday filled with joy and laughter! Great post! Need all these toys for...myself. Lol. Looks like so much fun to play with and I guess my girls would like them too. Hahahaha! My fingers are crossed!